Reports claim Sir Michael Fallon made "lewd" remarks to Andrea Leadsom when they served on a Commons committee together. 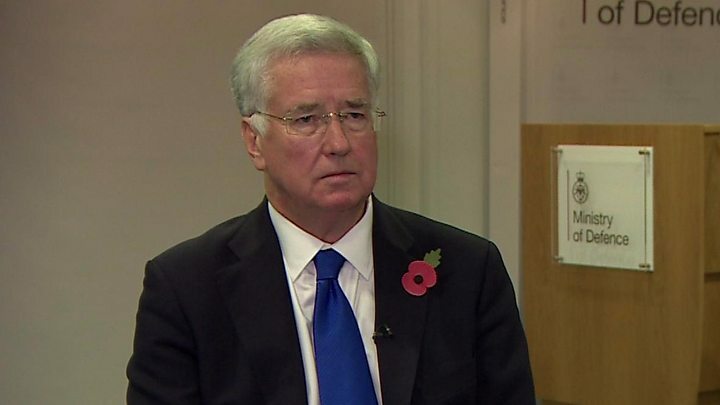 Former Defence Secretary Sir Michael Fallon has said that he "categorically denies" allegations that he made inappropriate sexual comments to Commons Leader Andrea Leadsom. Reports in the Sun and the Daily Mail say Mrs Leadsom complained to Number 10 about her cabinet colleague, accusing him of making "lewd" remarks. The claims come a day after Sir Michael resigned his post at the MoD, saying his conduct "fell short" of standards.Mrs Leadsom has declined to comment. The new allegations date back to between 2010 and 2012 when the two Conservative MPs were members of the Treasury Select Committee. According to the newspapers, Mrs Leadsom made her complaint to Downing Street about Sir Michael on Monday, the same day she made a statement to Parliament confirming a Cabinet Office investigation into sexual harassment allegations in Westminster.She told MPs in the House of Commons that staff who felt mistreated must be able to come forward in a "safe" environment and that MPs "must take action in days not weeks". A spokesman for Sir Michael confirmed on Tuesday that he was once rebuked by a journalist, Julia Hartley-Brewer, for putting his hand on her knee during a dinner in 2002, and he apologised at the time.A day later, he resigned as defence secretary, telling the BBC: "We've all got to look back now at the past, there are always things you regret, you would have done differently." He was replaced on Thursday by Chief Whip Gavin Williamson.Ms Hartley-Brewer said that if he had gone because of her knee, it would be "the most absurd reason for anyone to have lost their job in the history of the universe,"After his announcement, the BBC's political editor Laura Kuenssberg said that sources close to him did not believe he is "some kind of predator", but that he had not felt that he could guarantee that he would be able to account for every encounter in his long ministerial career. Labour is also facing new claims of sexual harassment and has suspended an MP whilst it carries out an investigation. Kelvin Hopkins, who has represented Luton North for 20 years, has been accused of sexually harassing a party activist.A spokesman said Labour "takes all such complaints extremely seriously and has robust procedures in place".